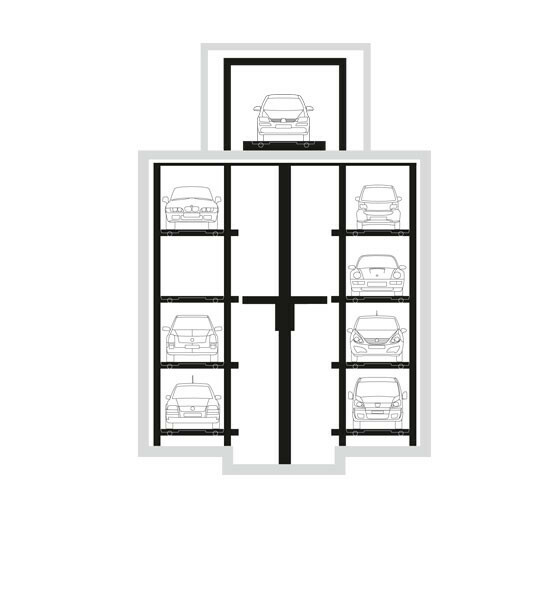 The LP car parking system was developed for narrow and limited spaces. 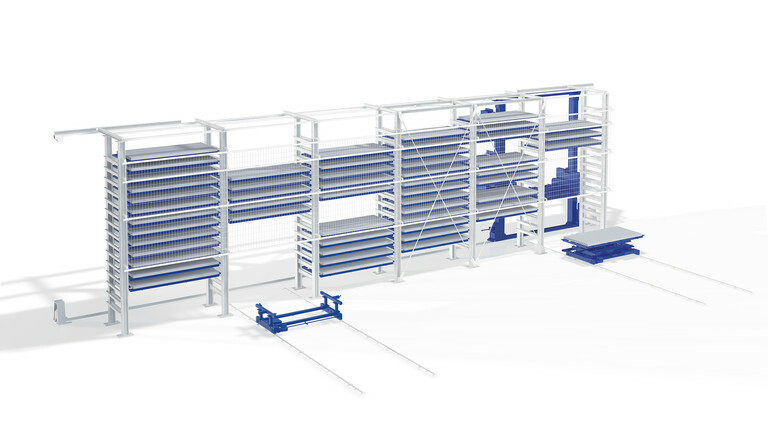 A longitudinal configuration reduces the width requirement. 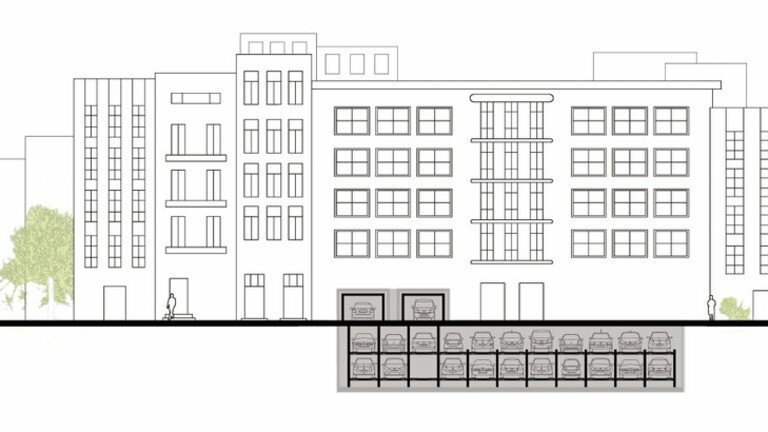 This means LP can fit in where narrow rows of buildings are being refurbished or in small spaces between existing buildings. 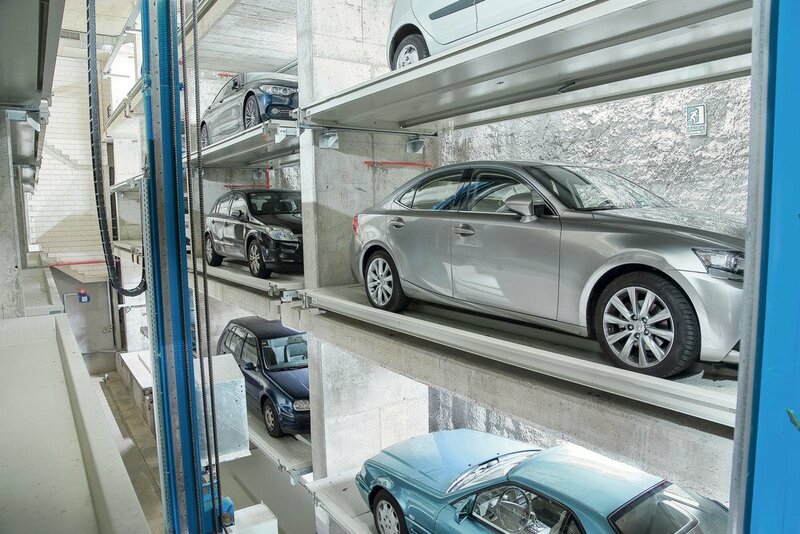 In short: it fits everywhere. 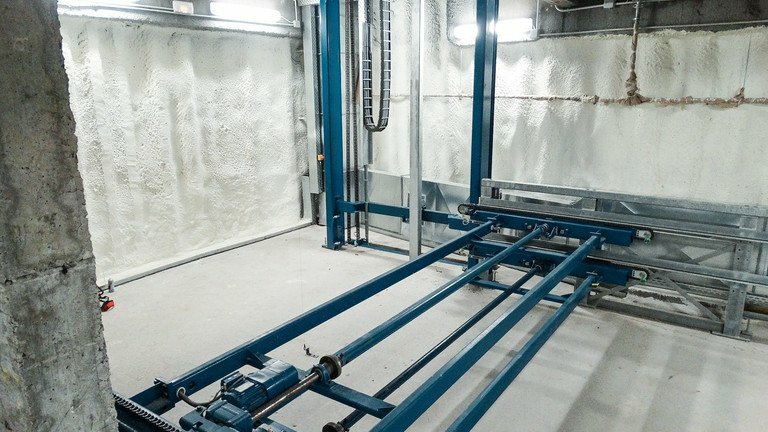 LP is suitable for underground, above-ground or mixed construction. 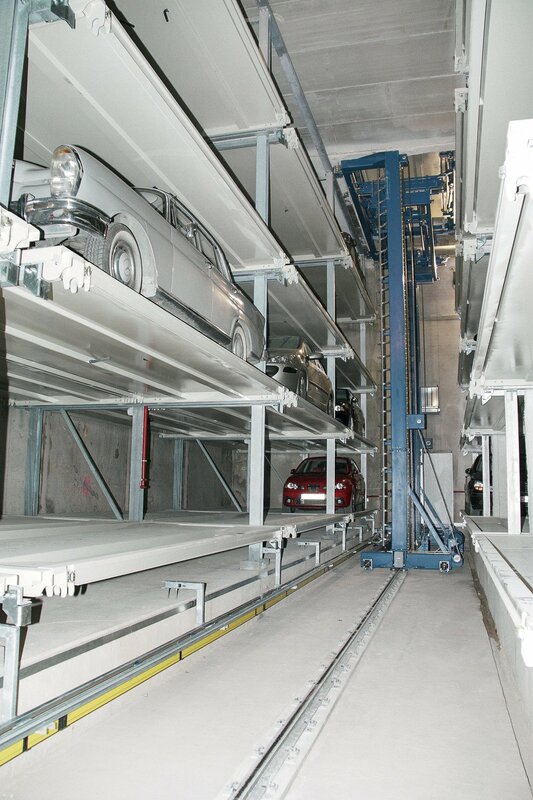 With a height of 16 m and a length of up to 100 m, it can accommodate up to 60 vehicles of any size. 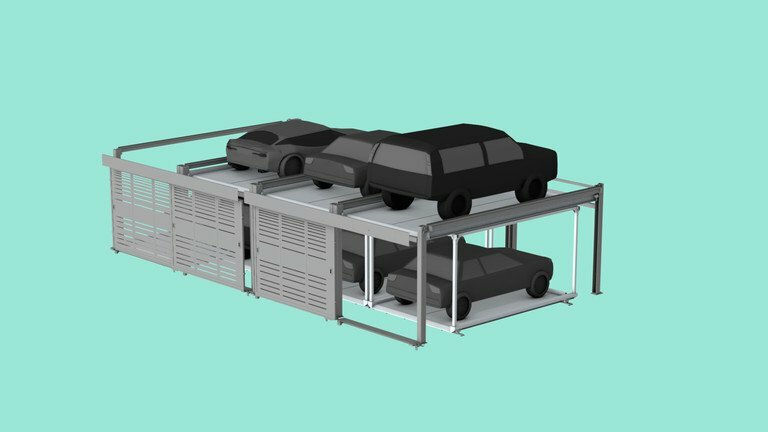 In the LP system, the vehicle pallets are placed on a self-supporting steel structure or directly inside the concrete building itself. 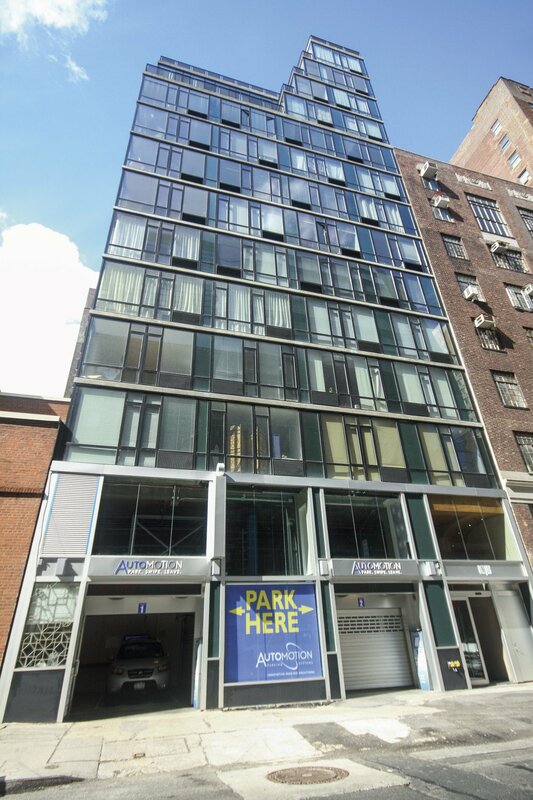 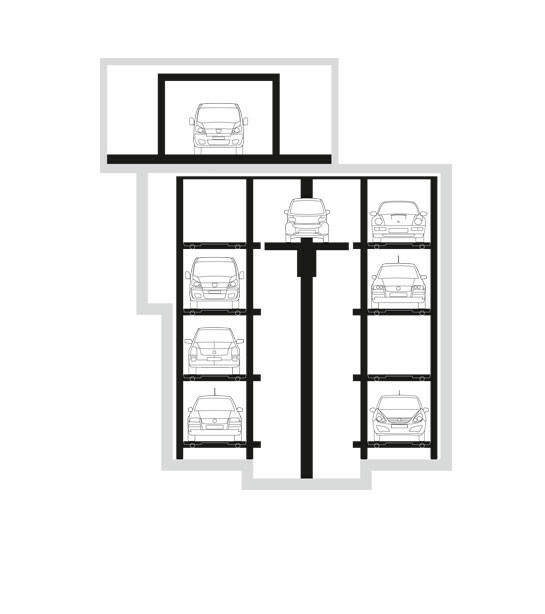 This gives planners and architects maximum flexibility for positioning and for using space. 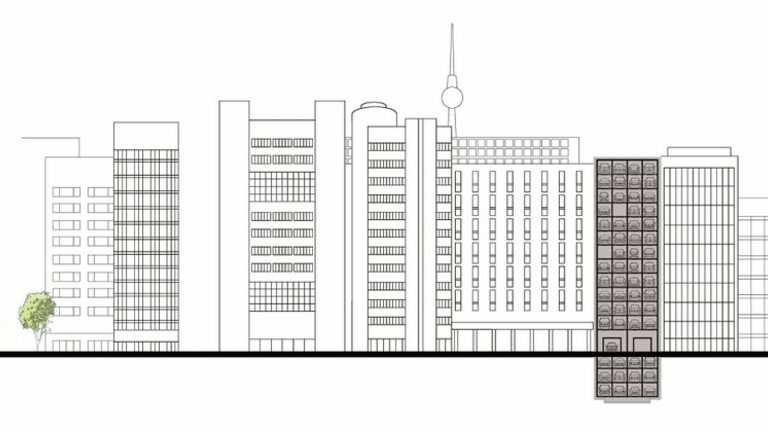 The height of the system is determined only by local conditions. 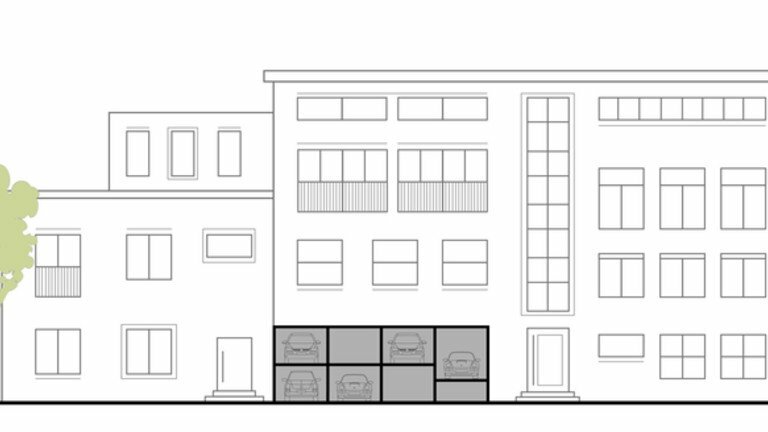 This also applies to the number of levels and thus the number of parking spaces. 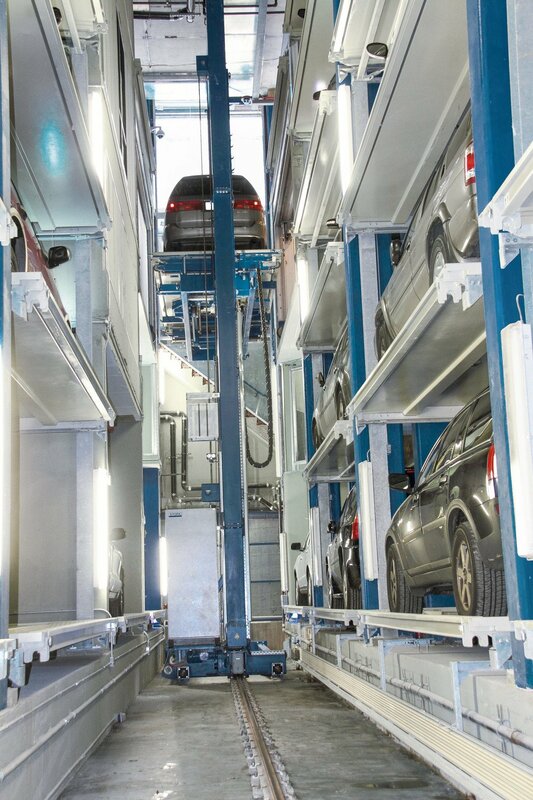 With LP, vehicles are parked parallel to the storage and retrieval unit. 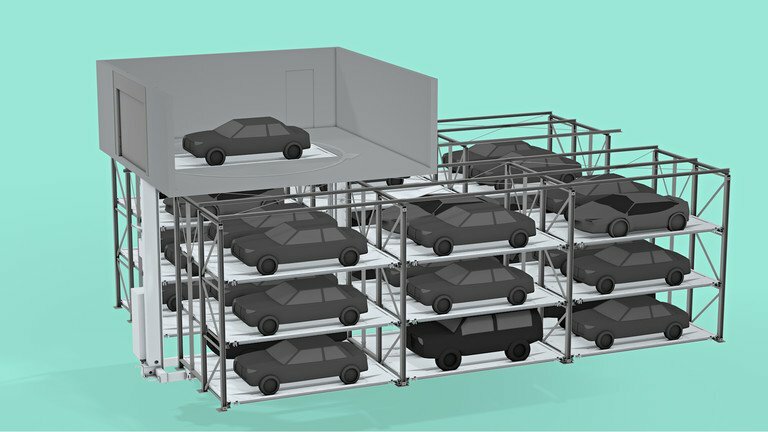 Several cars can be placed behind one another or side by side. 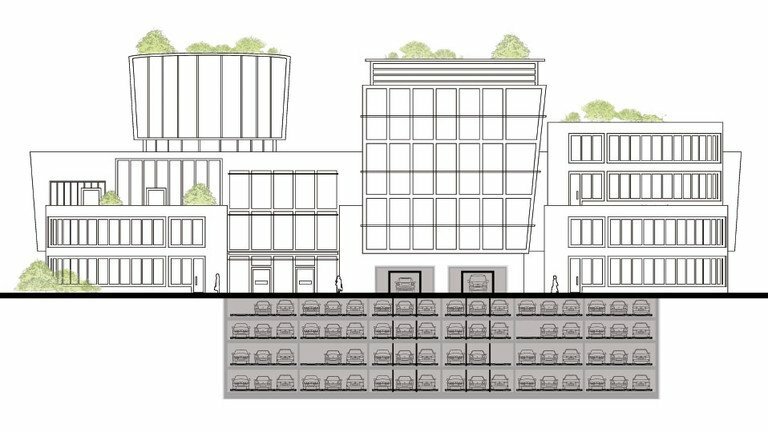 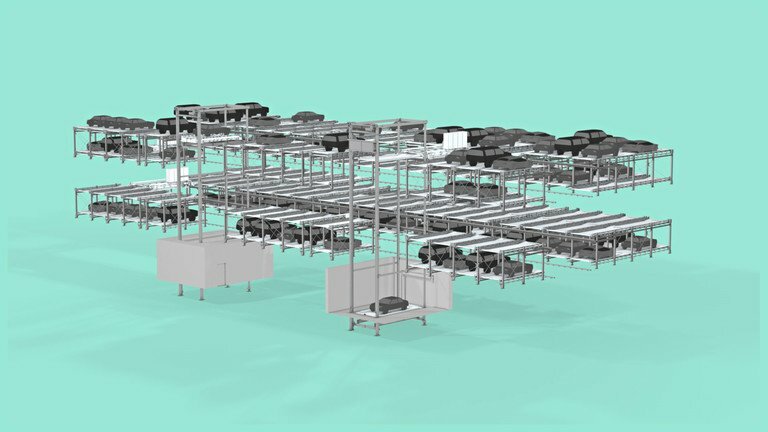 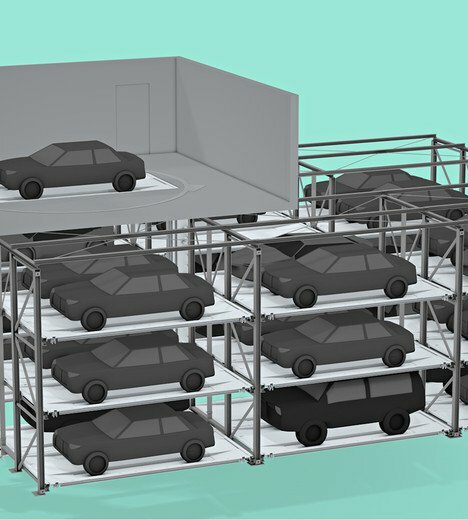 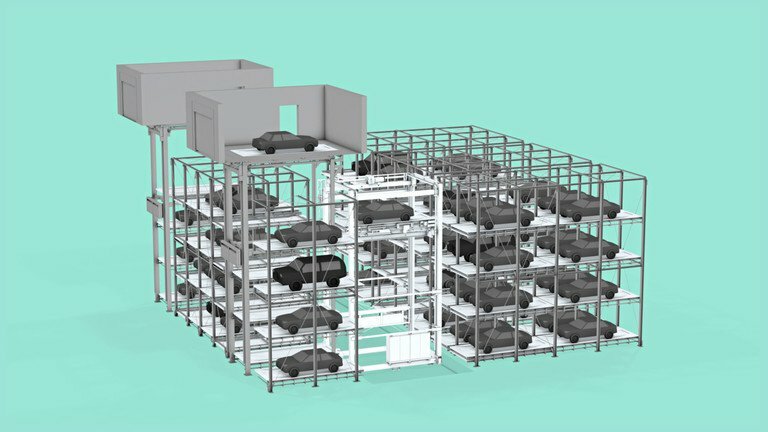 With the longitudinal configuration, there can be up to three parking spaces to the left and right of the storage and retrieval unit. 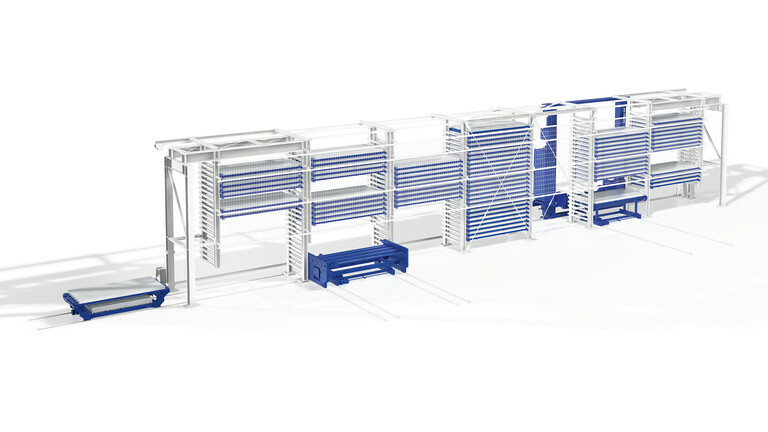 The LP system comes in two variants, which differ in the position of the transfer room. 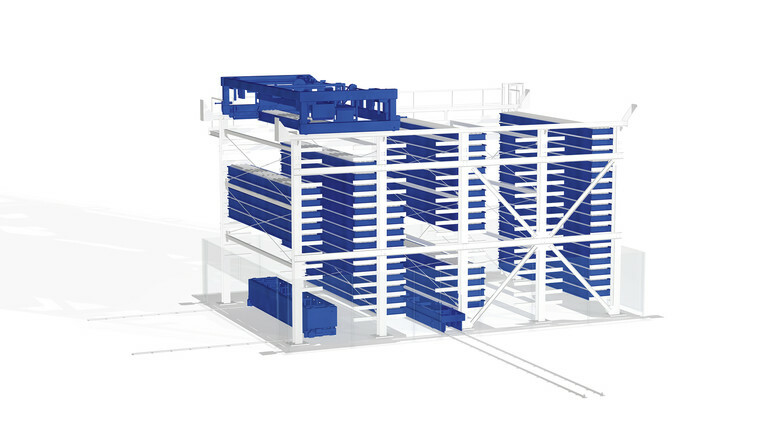 With LPM the transfer room is located in the centre, above the storage and retrieval unit. 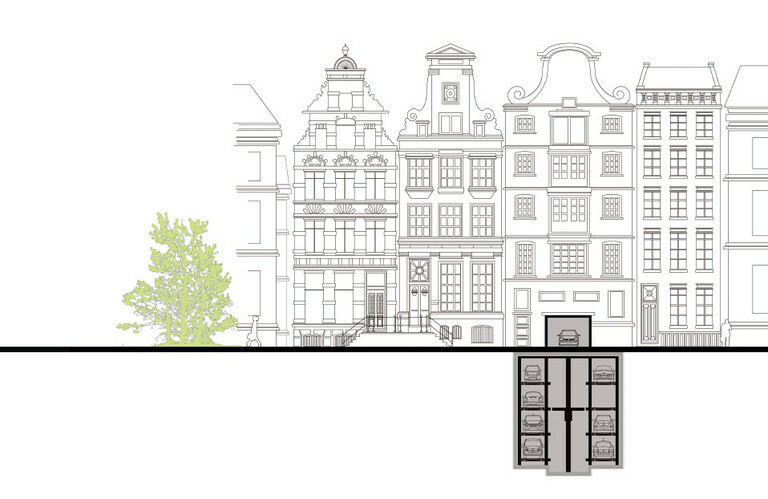 By contrast, it is located at the side in LPS. 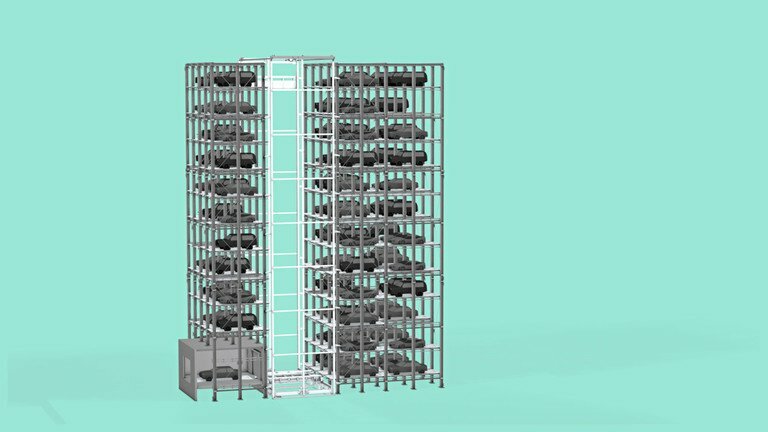 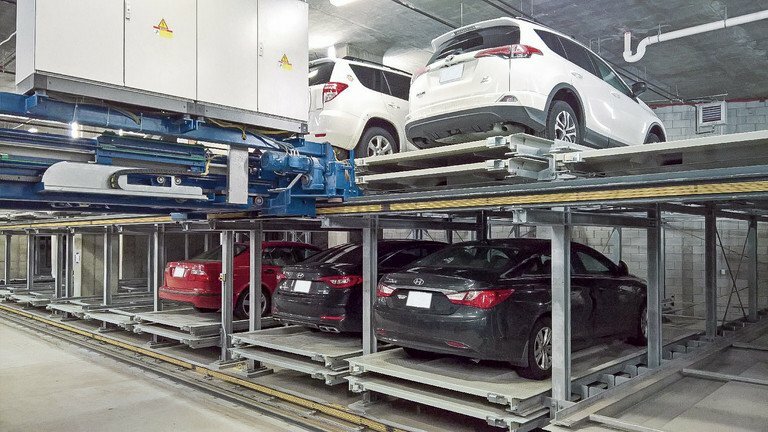 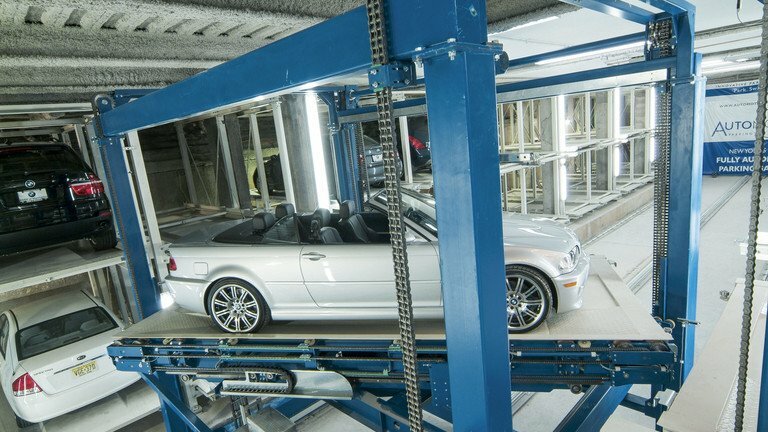 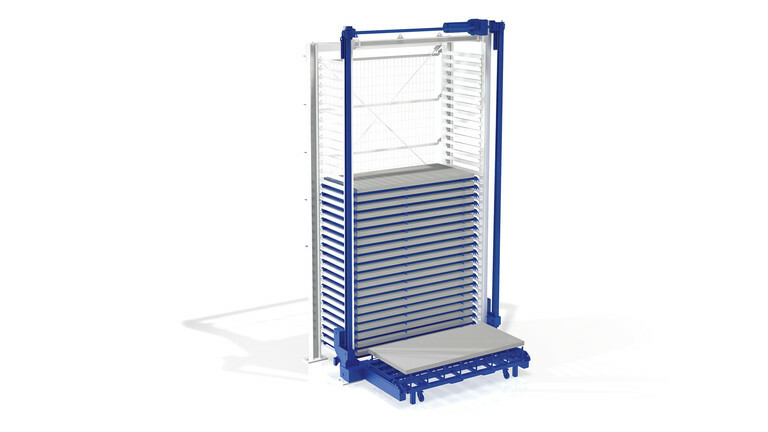 With both variants the storage and retrieval unit can be designed as a lift with a shuttle mounted on it (as in the TP system) or as a longitudinally driven version (as in the UP car parking system). 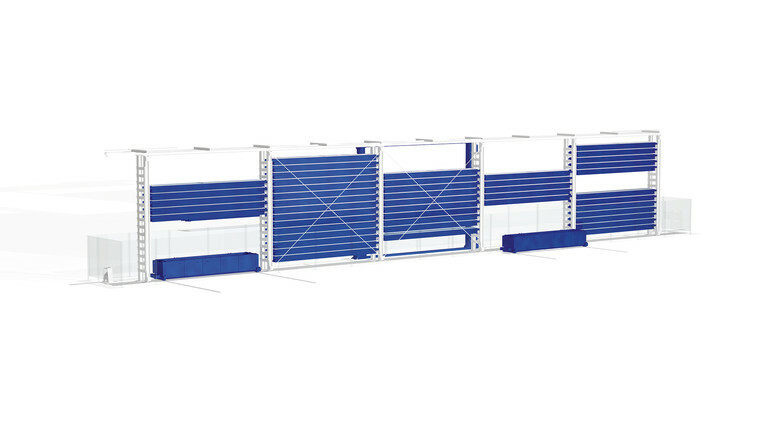 A second storage and retrieval unit is provided for high turnover and short access times. 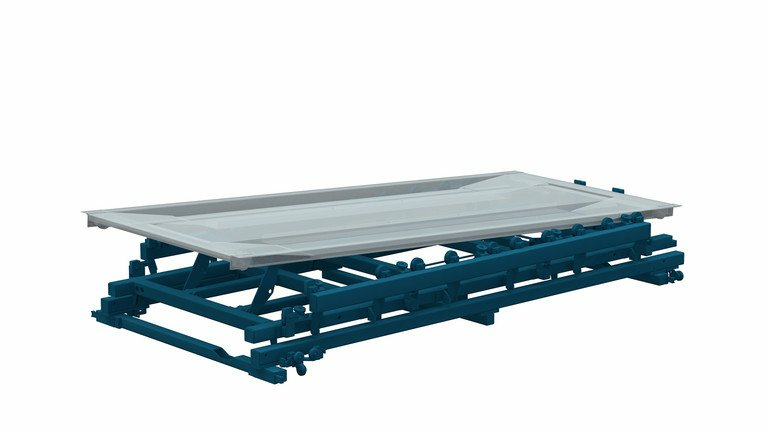 In the LP system, storage and retrieval of the vehicle pallets are handled by a chain conveyor on the storage and retrieval unit. 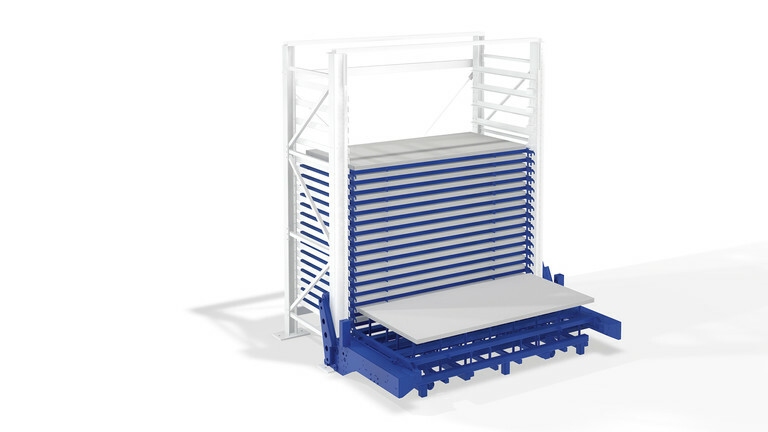 We successfully use this solution in sheet-metal stores and other applications too. 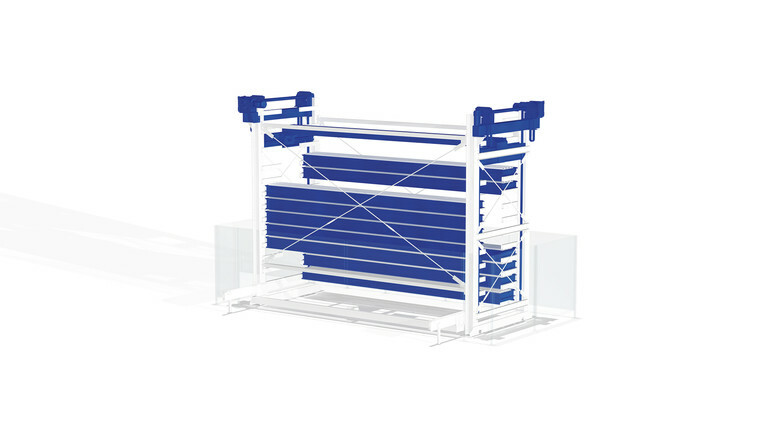 Its operation is almost wear-free. 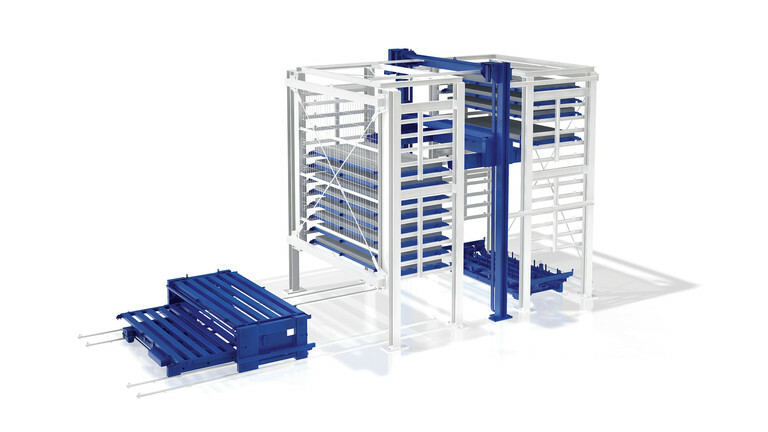 Depending on the chosen system, the storage and retrieval unit retrieves the vehicle pallet directly from the transfer room, or the pallet is conveyed by a lift under the transfer room to the exact position. 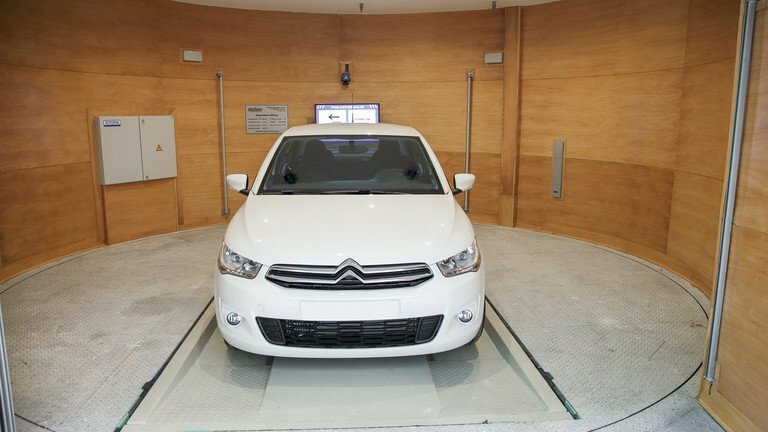 Here too, sensors monitor the transfer process, for example to ensure that all passengers have left the vehicle. 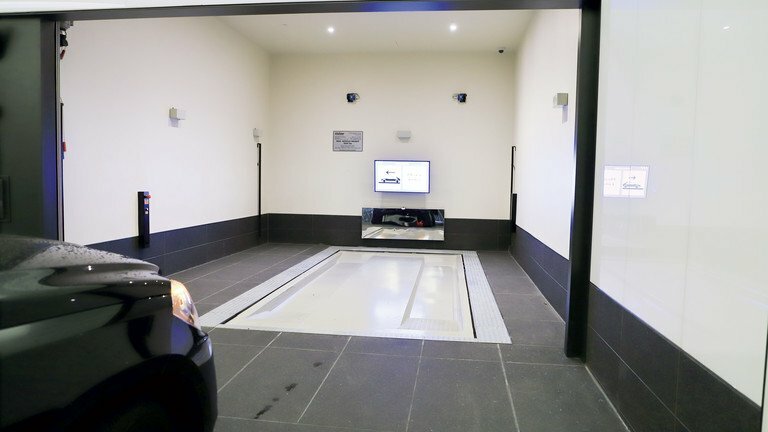 Sensor networks also monitor the vehicle’s movements inside the car parking system after it has been handed over. 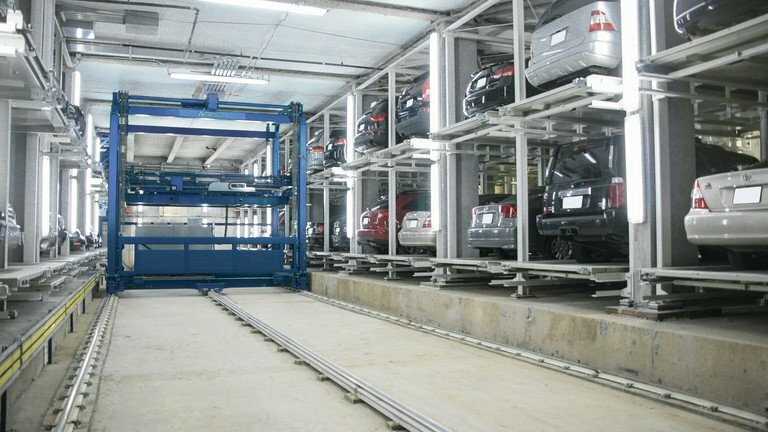 In this way the distance between the vehicle and the car park structure is kept the same, and the car never touches it. 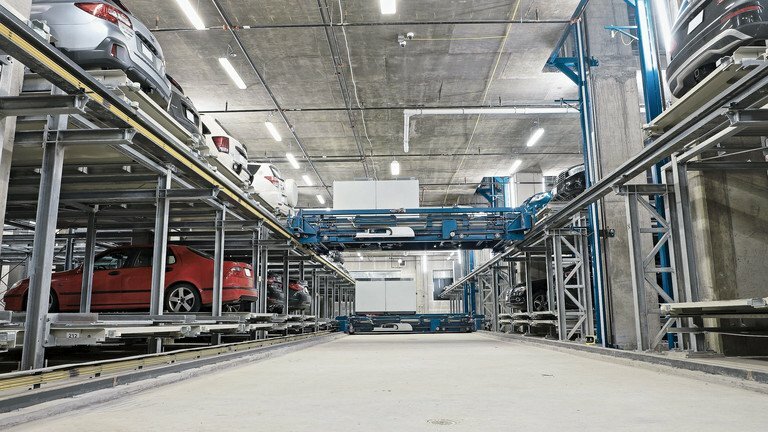 For those who want an enhanced parking experience, we can optionally install a turntable which always delivers the parked car facing in the driving direction. 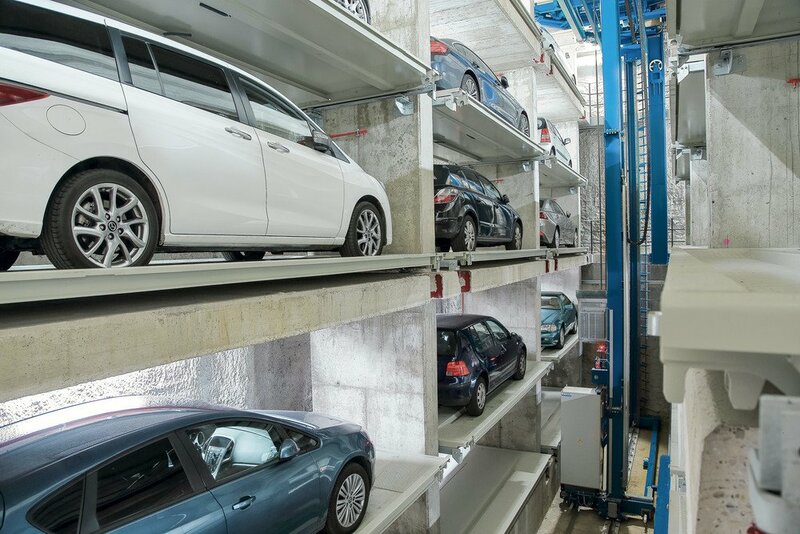 No manoeuvring is necessary – and there are no hazards for the vehicle.